Maintain 80-85F Pool with Free solar energy. Will Solar work in my area? YES! When the day time air temperature is 60F or more. Maintain 80-90F Pool 500-600% Efficient. 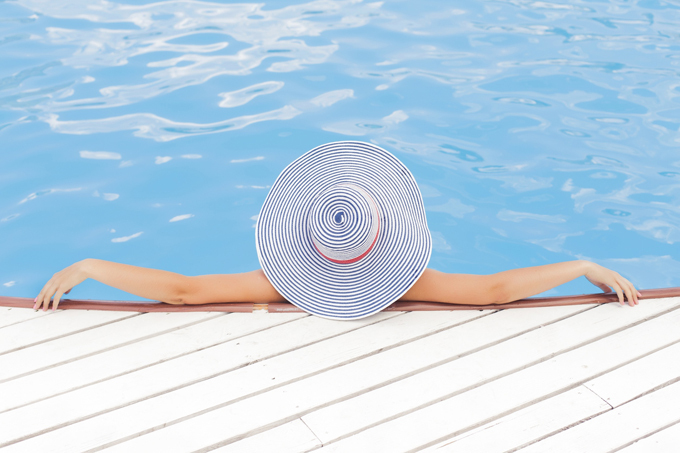 If the day time air temperature is 45F or more, a Heat Pump can warm your pool, rain or shine. Maintain 80-90F Pool 75-95% Efficient. A good choice when it must be warm during any climate condition. Swimming pool water purifiers, solar pool covers, cover roolers, pool cleanters, liquid pool covers, and winter or off-season swiming pool covers. Floating spa cover, small electric and gas heaters for small aboveground pools or spas, water purifiers. "We have nothing but praise for your products and for how your company treats its customers." Read what our happy customers, from climates as north as Minnesota and Massachusetts have to say about merits of solar pool heating, see photos of the solar systems installed, and check out our handy map for your state, to see how much longer you can stay in the swim. Solar Direct is a fully licensed engineering firm with NABCEP certifications and BBB A+ Rating, offering Solar and Renewable System Installations and Do-It-Yourself Kits and Products. Solar Direct has been designing, installing, and servicing solar products throughout the state of Florida since 1986. © 1986-2016 Solar Direct - All rights reserved.